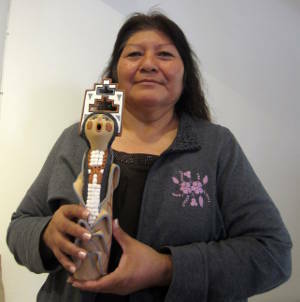 Emily Fragua-Tsosie, (Corn Pollen), was born in 1951 in Jemez Pueblo. At the age of 12, she was inspired by her mother, Grace L. Fragua, and grandmother, Emilia Loretto, to make pottery sculptures. 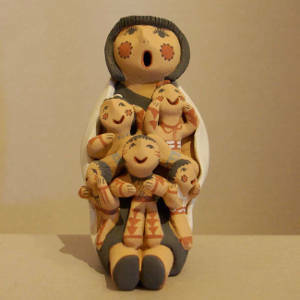 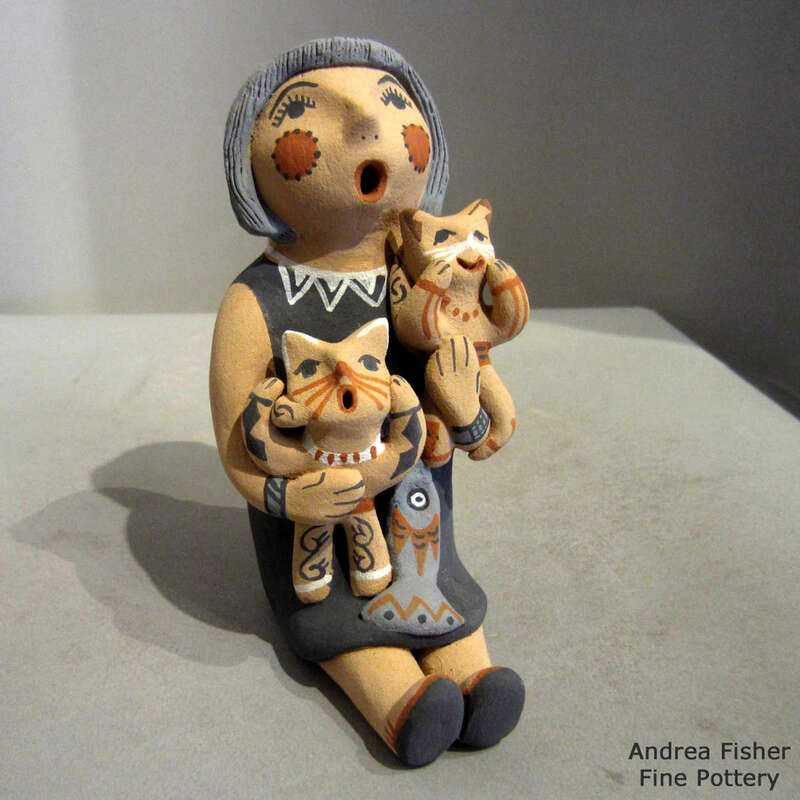 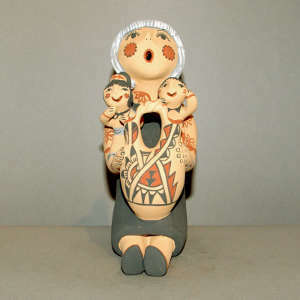 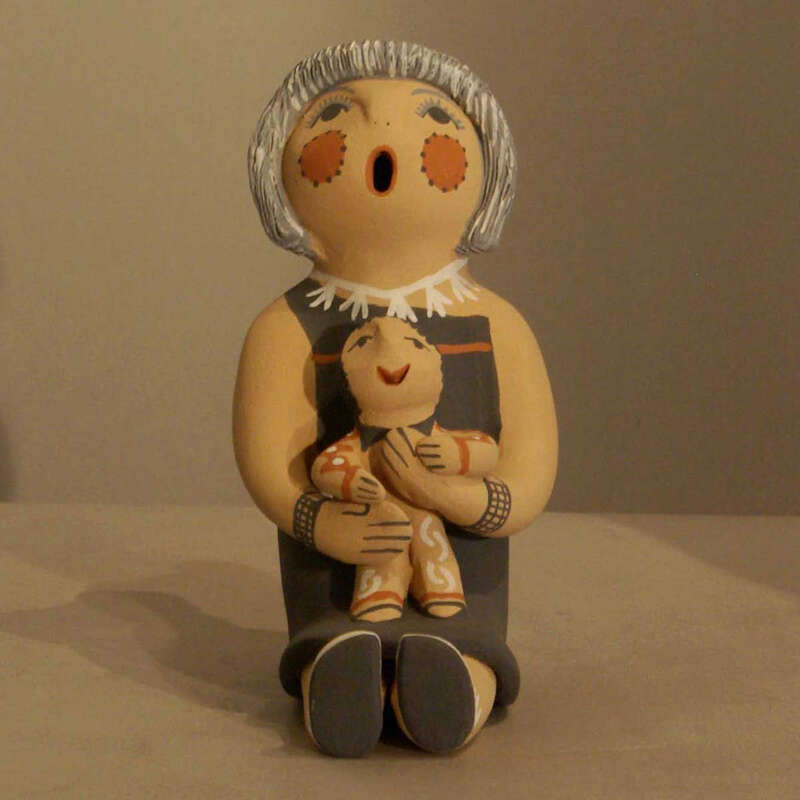 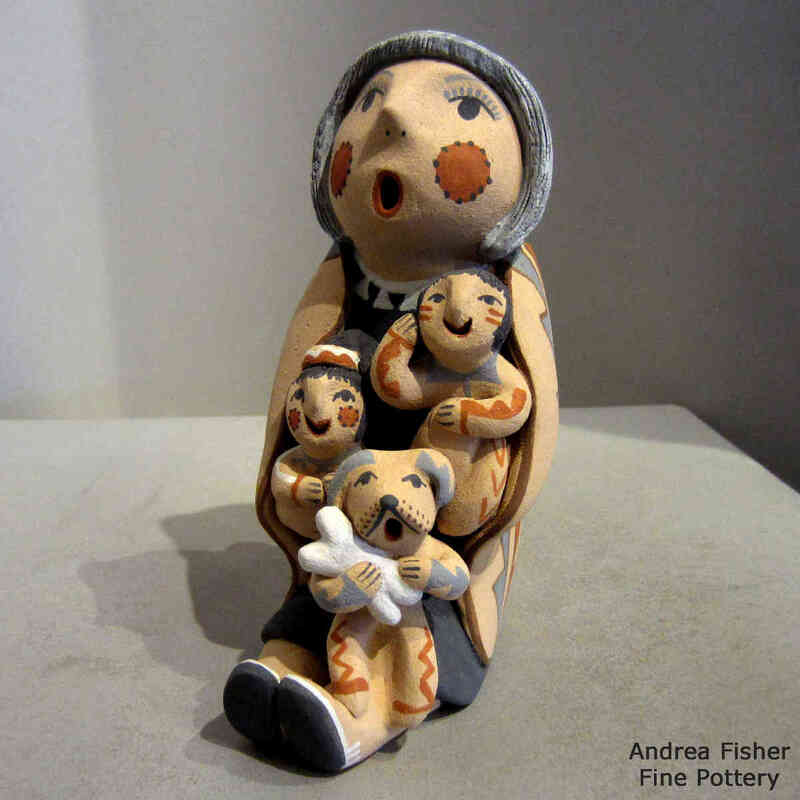 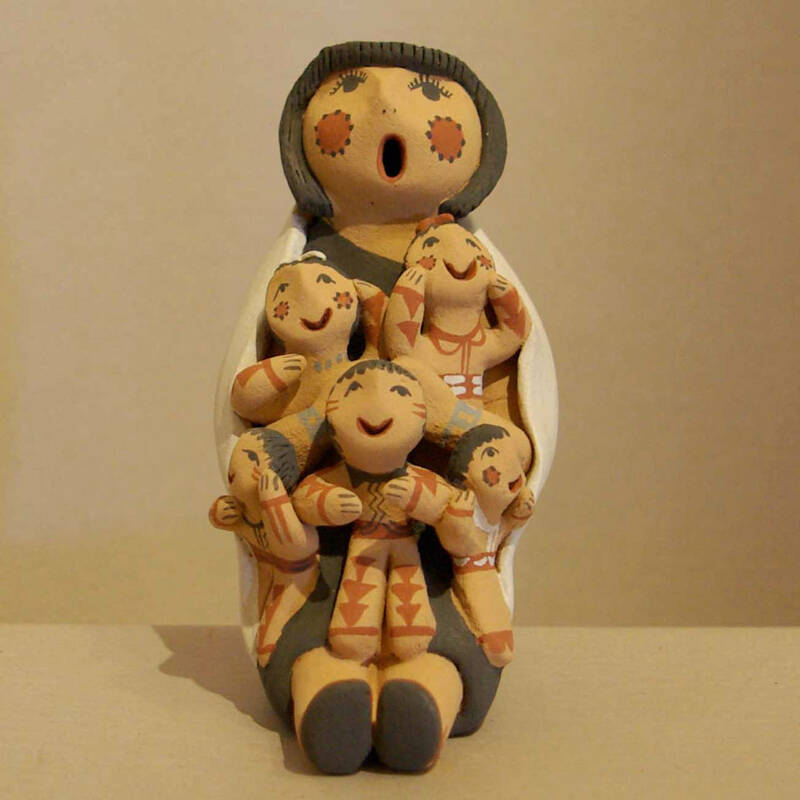 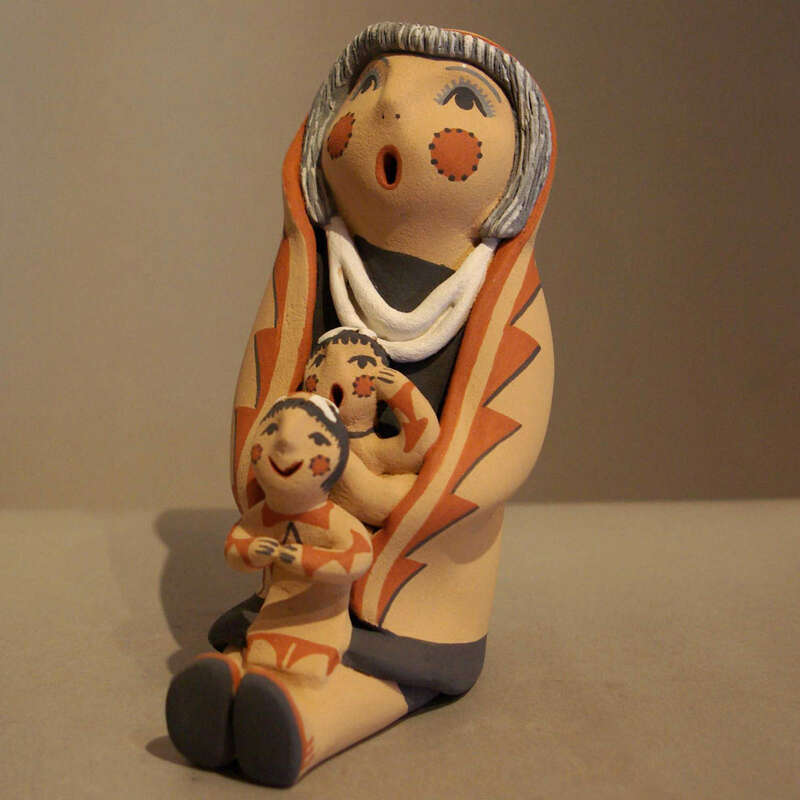 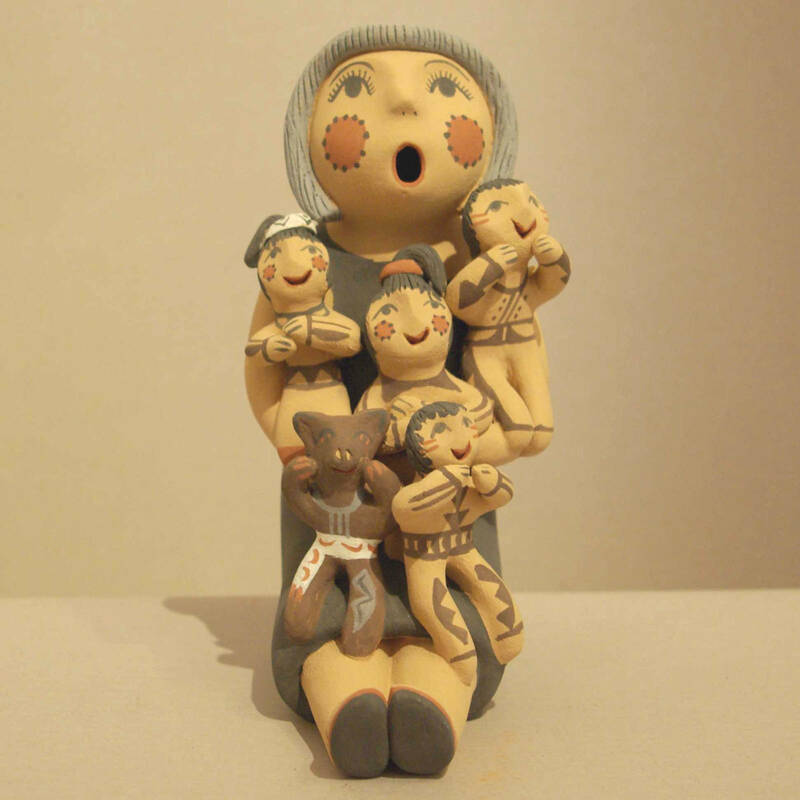 They encouraged and motivated her to learn the traditional art of working with clay so that she could add to the long lived Jemez tradition of making art using ancient methods. She is the sister of Caroline Fragua Gachupin, Clifford Fragua, Bonnie Fragua and Chris Fragua. 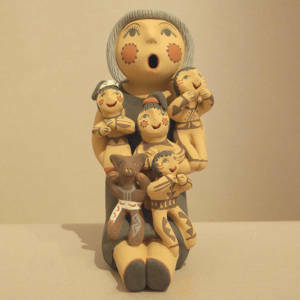 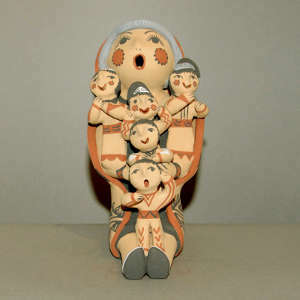 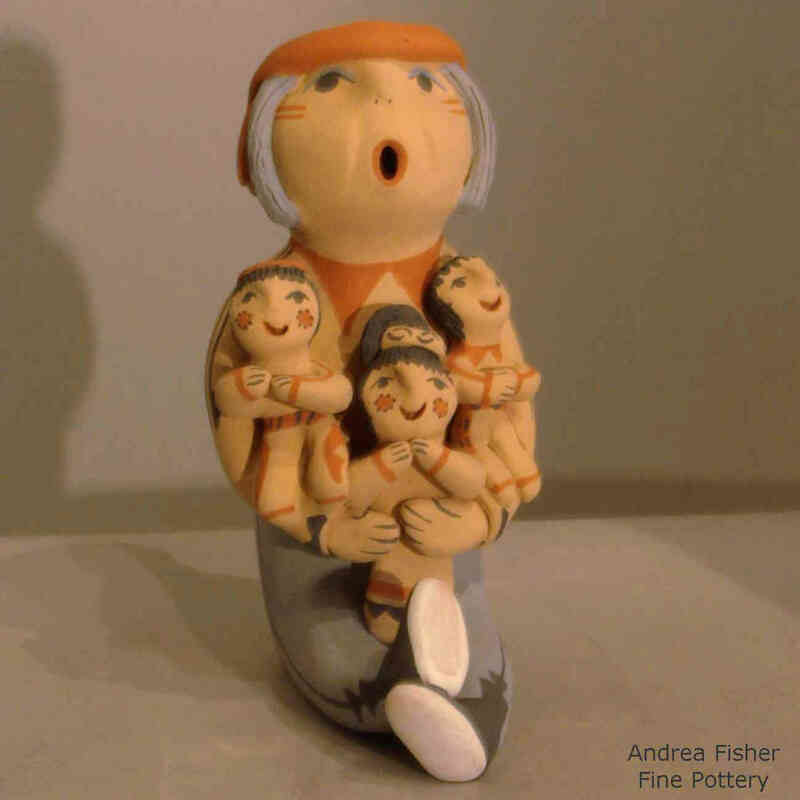 By the late 1960’s she started making her own corn dolls and other sculptures. 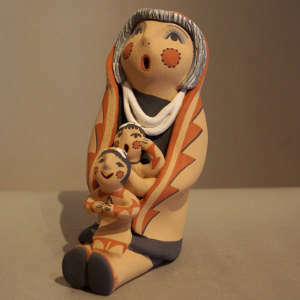 Today she specializes in storytellers, nativities (nacimientos), clowns and corn maidens. 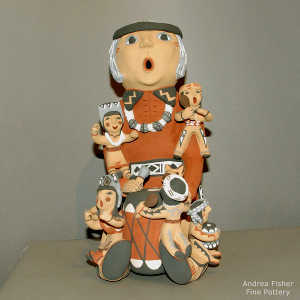 She has received awards at the Santa Fe Indian Market, the Eight Northern Pueblos Arts & Crafts Show, and the Gallup Inter-tribal Indian Ceremonial. She is married to potter Leonard Tsosie. 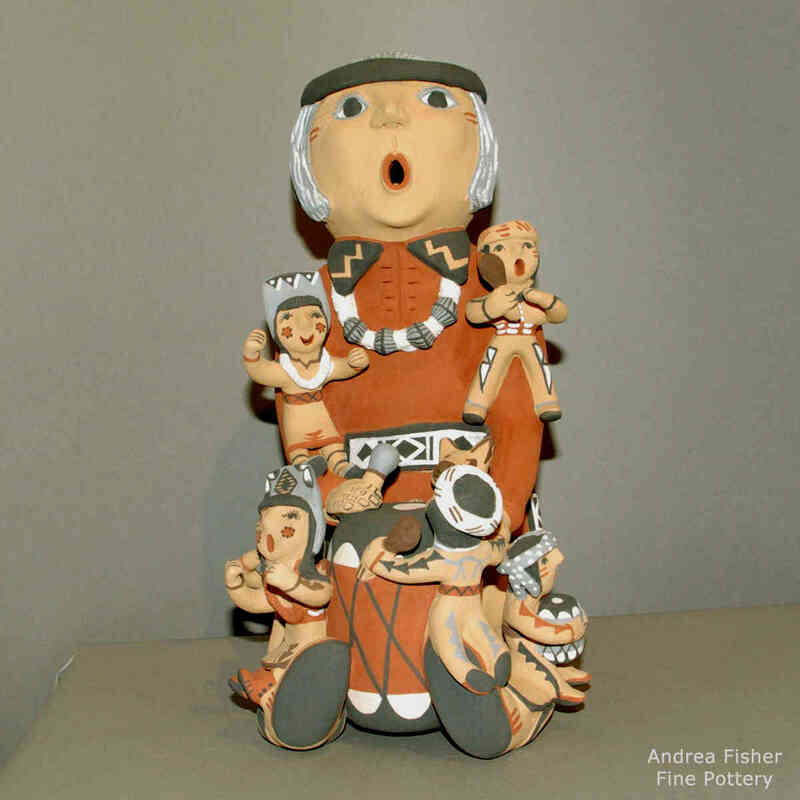 Emily signs her pottery as: "E. Fragua Tsosie, Jemez".